Clint Eastwood is following up his empty chair speech at the Republican National Convention with a new ad in support of Mitt Romney. 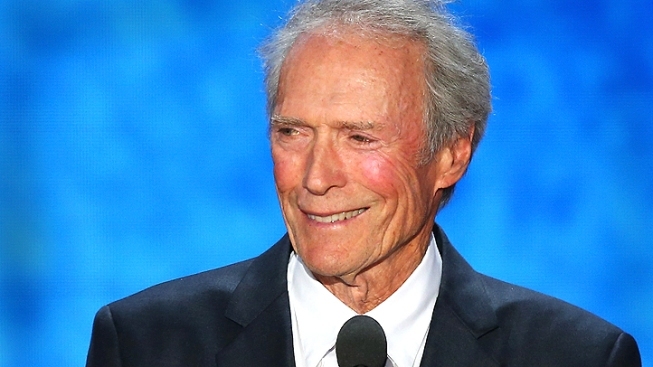 Clint Eastwood has waded back into the presidential election, narrating a new ad in support of GOP candidate Mitt Romney. Eastwood narrates a 30-second spot called "At Stake," saying, "If someone doesn't get the job done, you have to hold them accountable. Obama's second term would be a rerun of the first and our country just couldn't survive that." The Hollywood legend then appears on camera to make a direct plea to voters: "There's not much time left and the future of our country is at stake." The new ad comes after Eastwood famously took the stage in August at the Republican National Convention in Tampa, where he delivered a 12-minute scolding to an empty chair that was meant to represent President Obama. "Mr. President, how do you handle promises that you made when you were running for election," Eastwood asked the empty chair. "I mean, what do you say to people?" The speech went viral, inspiring a Twitter feed, and countless photos of people wagging their fingers at chairs. Even one of Romney's aides described it as "theater of the absurd."